CC377A HP Laserjet Cp1515N Printer - Refurbished with 3 months Return To Base Warranty & Working Consumables. 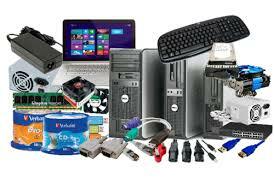 The HP Laserjet Cp1515N Printer is as good as buying new as all worn parts are replaced. This saves you up to 50% off the price of a brand new printer. We are confident that you will be 100% satisfied with your HP Laserjet Cp1515N Printer and are here to help with any support questions you may have. The Manufacturers part number/product code for this item is: CC377A. 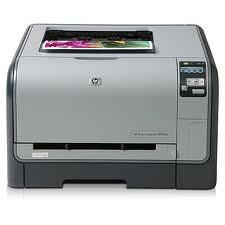 Create high-impact business communications in-house, easily and affordably with this fast, reliable HP Color LaserJet. Get vibrant colour, high gloss and photo-quality images with new formula HP ColorSphere toner. HP ImageREt 3600 enables your printer to produce high quality images, text and graphics on a wide range of different media. Print at speeds of up to 12 ppm black and 8 ppm colour. Enjoy ease of use with a new, intuitive driver interface and basic-featured networking for up to 5 users. Document delivery speed note The time it takes to complete a typical office print job (described by InfoTrends as three to five pages long) coming out of low power mode with Instant-on Technology.